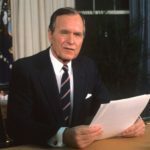 The Battleship New Jersey remembers and salutes President and WWII Navy Pilot, George H.W. Bush. 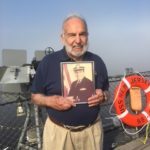 Fair winds and following seas, Commander. 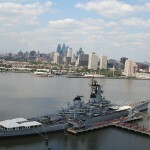 Stay at the Hilton in Philadelphia and Save on a Tour at the Battleship! 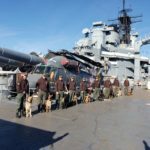 Trainers and dogs from Atlantic County Police K9 Academy posed for a photo near the Seasprite helicopter on the fantail of the Battleship New Jersey on Friday, Nov. 23 after a morning of training exercises aboard the ship. 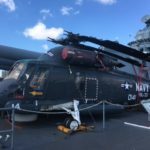 The Battleship was honored to host a dinner for Rexel aboard the ship on Wednesday, Nov. 14. 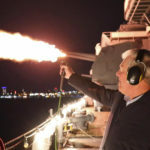 Over 600 guests enjoy appetizers, open bars, tours, dinner, an amazing fireworks show and the firing of the Battleship’s 5-inch gun, which was fired by Rexel’s Mark Daniel. Thanks for coming aboard! 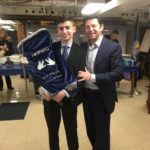 Congrats to Sam Messias on his Bar Mitzvar! Sam Messias, who made his Bar Mitzvah in the Officers’ Wardroom of the Battleship today, Sat., Nov. 17, stands with Rabbi Larry Sernovitz. 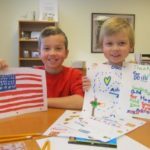 Congrats to Sam!